I love happy hour. I especially love happy hour when it is being hosted in a darling gallery with lovely bloggers. 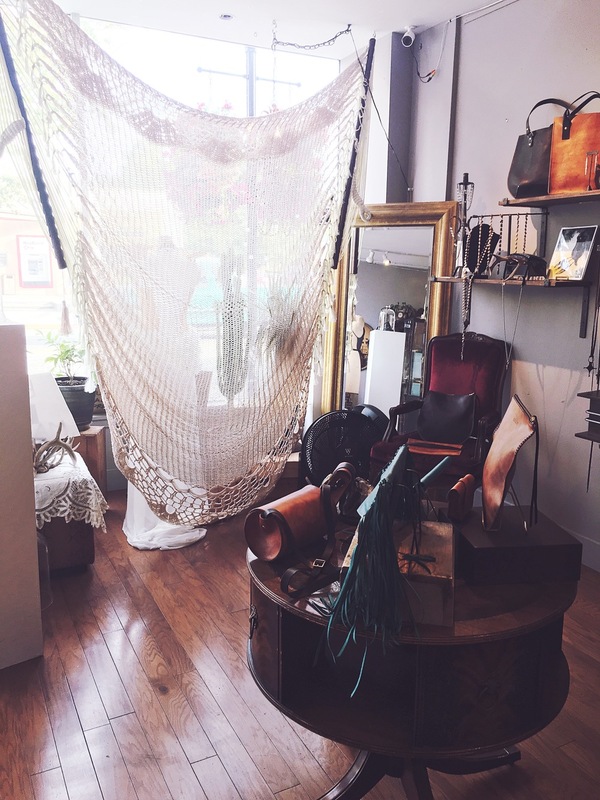 I recently got to spend a evening at Twilight Gallery and Boutique in West Seattle hosted by Anna Luiza from the blog, Northwest Blond. 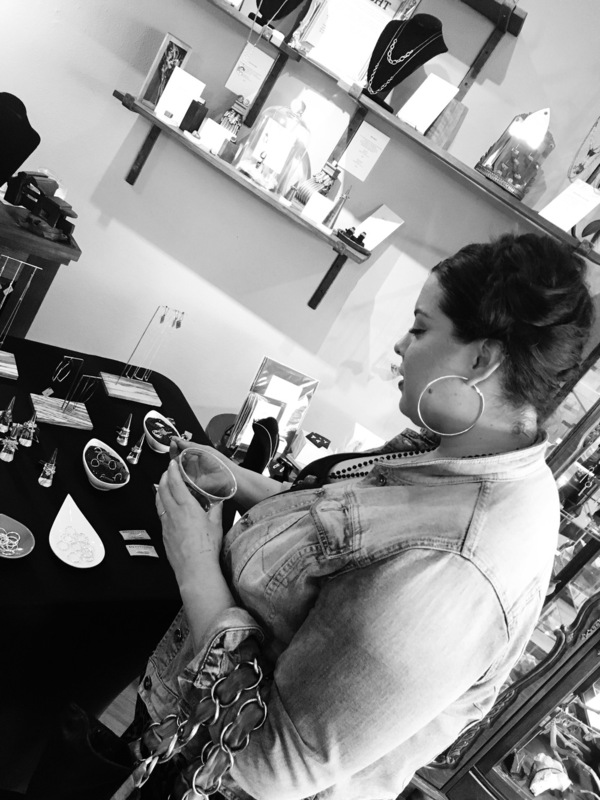 She graciously put together an evening of art, local jewelry designers, wine and fashion chit chat. Sometimes, a girl needs to throw on her high wasted pants and some lipstick and get out of the house. Located in the heart of the West Seattle Junction, the space is filled with art, handmade jewelry and accessories, music playing from a record player and lots of bones and skulls. The bohemian decor is what my gypsy dreams are made of. 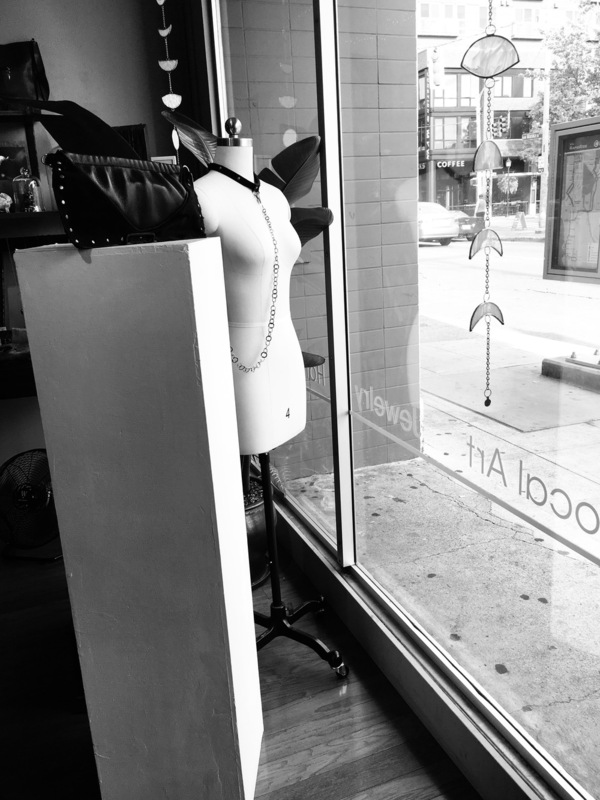 I was especially smitten by Silversheep Jewelry. Designer Silvia Baba, designs the the more spectacular minimalistic modern pieces. "Her work is inspired by the natural, man made, and invisible forces around us and her designs aim to hone in on the core of some of life's big ideas with the use of uncomplicated shapes and unique textures. " I was able to find the perfect pairing to my simple wedding band with a gold and rose-gold simple stacking rings. So, excited that I am finally able to wear my wedding band on my ring finger! Check out more about Silversheep Jewelry here. Oh, and I found my dream statement piece from NeonZinn. 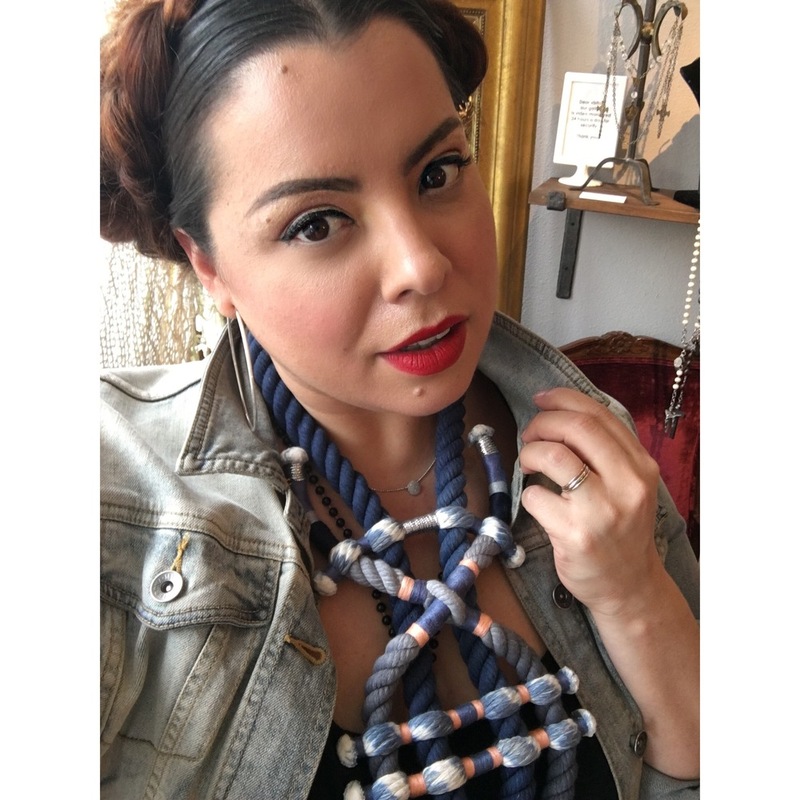 Seth Damm, designs these unique sculptured rope pieces, to take your outfit to the next level. Yassssss, girl. So, if you haven't had a chance to pop into this little gem, head on over. Spend the afternoon enjoying all the cuteness West Seattle has to offer like Bakery Nouveau, Easy Street Records, Ma'Ono brunch or Capers. I seriously love my little hood! Oh, and I can't forget to give a very special thank you to my wonderful friend Maria for coming with me. I can't wait to see your new Silversheep Bracelet.